Samsung has historically been a known quantity in the Android world: great hardware, good cameras, software you put up with. 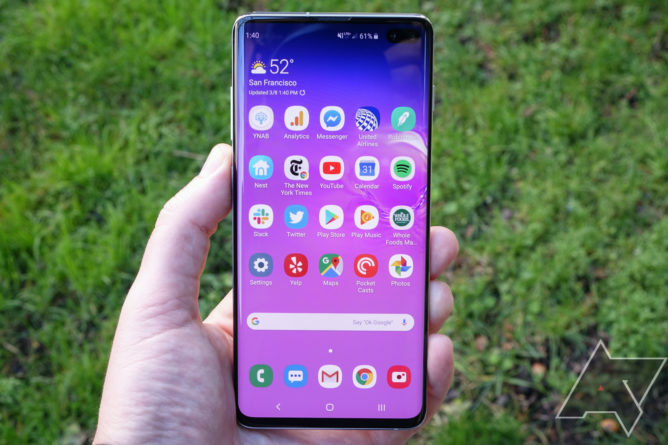 And while the Galaxy S10 family is largely what you've come to expect, there are highs and lows here, which does not necessarily comply with Samsung's tradition. You can see our full reviews of the Galaxy S10 + and S10e for more in-depth analysis, but here's our five favorite and five most favorite things about the S10 line in short. This article brought you by TopGreener, Manufacturer of top-notch charging essentials, including wall outlets with integrated QC 3.0 and PD charging ports. Samsung's displays are the best in the business. That's nothing new, but its phones this year raised the bar again; as David put it in his reviews, they're "best ever, but better than that." Across all three S10 models, screens are bright, colorful, and tack-sharp. The S10 and S10 + sports 1440p OLED panels; The S10e has a resolution of 1080p, but still shares its big brother's strengths in being bright and vivid as all get-out. Appropriately responsive and smooth, with a Snapdragon 855 and between six and 12 (twelve !) gigabytes of RAM, depending on your preferred model and options. The S10 is crazy fast, capable of handling any task you may want to throw at a phone without breaking a sweat. The S10 + has a lot of cameras. Around back there are wide-angle, ultra-wide-angle, and telephoto shooters; up front, two cameras for selfies in that robot-face cutout (although one is just for sensing depth). The combination of cameras on the back gives you great flexibility in how you frame a shot, without having to resort to digital zoom or cropping after the fact. Everything there was like about the S9 setup lives here; in good light, photos are detailed and colorful. 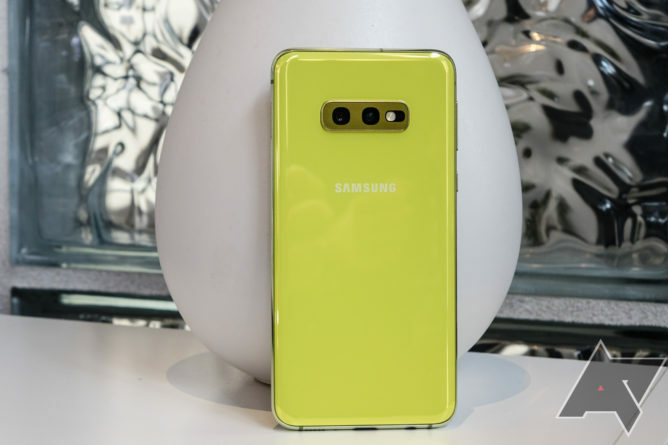 The selfie camera is a marked improvement for Samsung, producing more detailed photos than the front-facing cameras of the company's previous offerings. Meanwhile, the regular S10 and S10e ditch the rear telephoto lens and the front-facing depth camera, but they still take great photos with the primary cameras they have. Since Google's take on stock Android has stopped being around the KitKat era, it's a phone industry's trick to mock Samsung's skins; They've always been over the top and just kind of ugly. Iterations have seen improvements, but with its newest offering in One UI, the manufacturer has taken a leap forward in design. It's still colorful and maybe a touch childlike, but it's much more reserved and cohesive than TouchWiz or the Samsung Experience ever was. Samsung's apps have been rethought, too, with the eye on the ever-big displays phones are shipping with: important UI elements are clustered towards the bottom of the screen, within thumb's reach, until you scroll to reveal more content. If you want to get even more out of the new and improved software, check out our 25 tips and tricks on how to do just that. 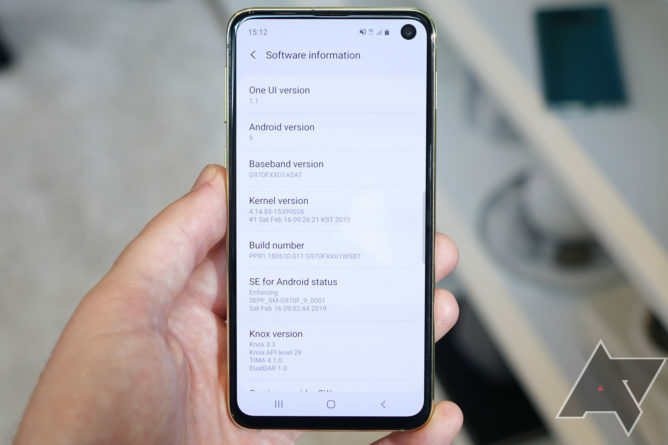 The S10 line nails a lot of the big features, and there are plenty of subtler things to love about it, too. It's got Samsung Pay, which is accepted basically everywhere that takes credit cards. There's expandable storage through microSD. To the delight of Samsung loyalists, the manufacturer is among the last to include 3.5-millimeter headphone jacks in its flagships. Want a case? Every accessory-maker under the sun has some for Samsung devices. Even reverse wireless charging, while perhaps a bit gimmicky, can come in handy in a pinch. Phone-adjacent quality of life here is very high. The bezels are large enough to house the fingerprint scanners are thoroughly extinct. The alternative is to either put it on a different side of the phone – the back is the popular choice – or, more recently, under the display. Samsung opted for the latter in the S10 and S10 +, and the result is not great. The ultrasonic scanner bounces sound waves off your finger and uses software magic, reads the reverberations to determine whether your fingerprint match matches what the phone has filed. It all sounds very slick and futuristic, but in practice, it's just frustrating. It's impossible to find by feeling, it's not very accurate, and it's not as fast as the sensor on the S9. Software updates have helped matters a lot, but it's still slower and less accurate than a capacitive scanner. 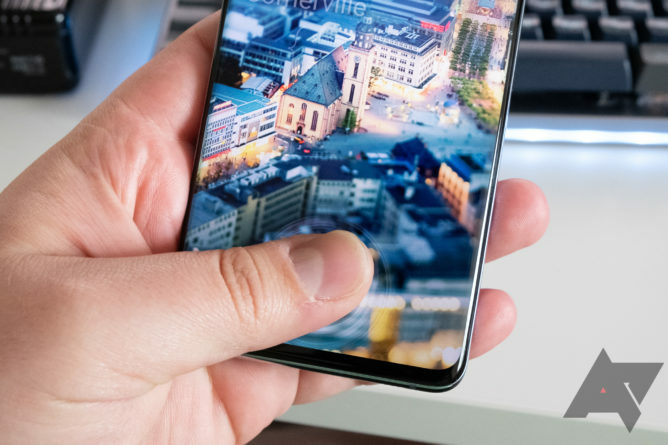 The Galaxy S10e's fingerprint scanner is embedded in the power button, and it works plainly. 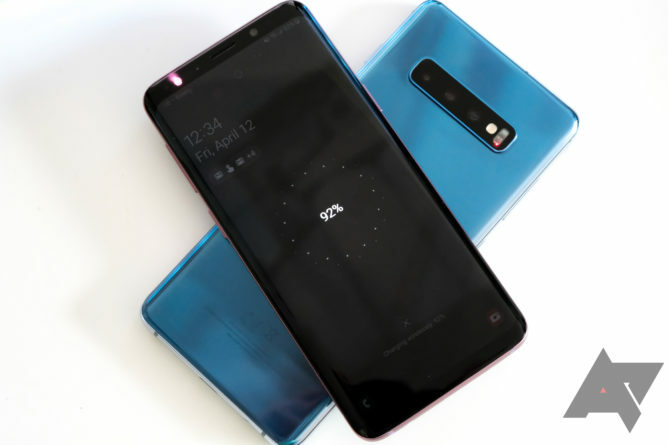 The Galaxy S10 and S10 + are big phones – even by 2019 standards, the S10 + is imposing, with a 6.4-inch screen. Super-slim bezels help, but few among us can reach the top of the thing while using it one-handed. Samsung's software has been tweaked with this mind, but the hardware is designed like our hands have been growing along with our screens. 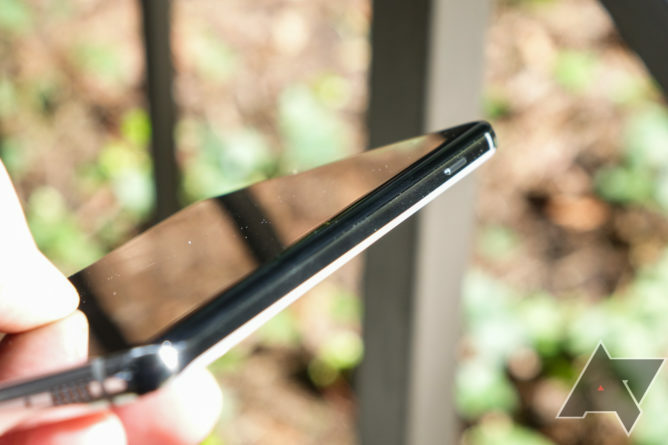 Like most glass phones, all three S10 devices are smooth and slick ("incredibly, ridiculously slippery," in David's words), with rounded corners that offer little to grip. 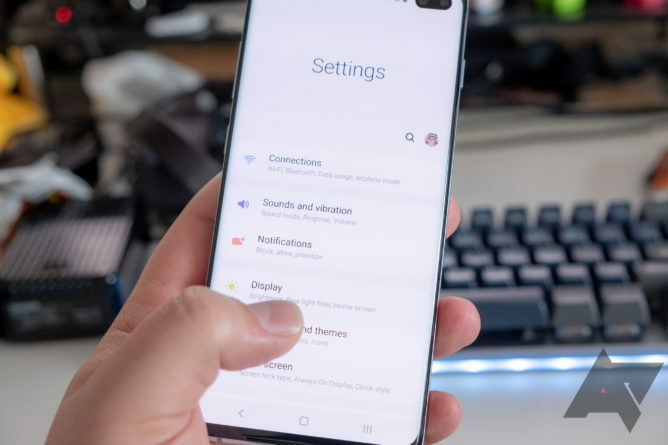 This fact is just as much a statement about the modern smartphone design in the whole, but the S10 + makes things worse with power and volume keys, which are positioned frustratingly high on its sides; Just locking the screen without using two hands can take some shimmying. Given that glass is prone to breaking if you drop it on concrete (and this is some extremely expensivey glass), you'll probably want a case. 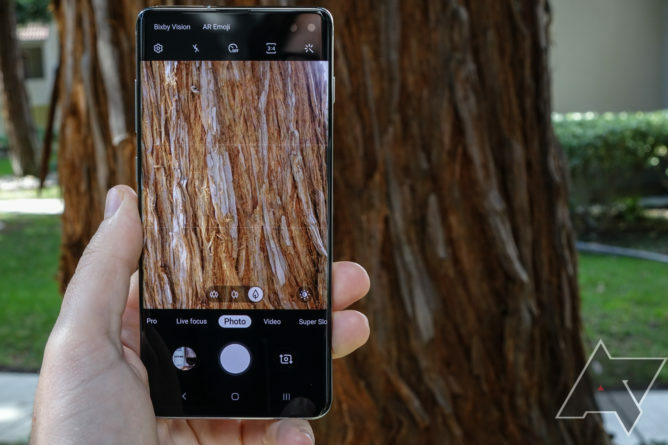 While the primary cameras on all three S10 phones are really great, the extras are ultra-wide and, on the S10 +, telephoto are not stellar By comparison, they produce sub-par images, with shots from ultra-wide lenses exhibiting distortion around the edges, and telephoto pics often coming out soft and grainy. Low-light performance is all-around disappointing, too, compared to the stiff competition from the likes of Google and Huawei. I've danced around this, but it has to be said explicitly: paying $ 1,000 to $ 1,600 for a phone is rough. Yes, the non-plus S10 is less expensive, starting at $ 900, but these prices are just too darn high. Sure, inflation is rampant in industry-wide, and yes, these are extremely competent devices you could hold for years. Still, in 2023, when your phone is scuffed up and quite likely running an out-of-date version of Android, it probably will not feel like it was worth spending a grand (or more) on. 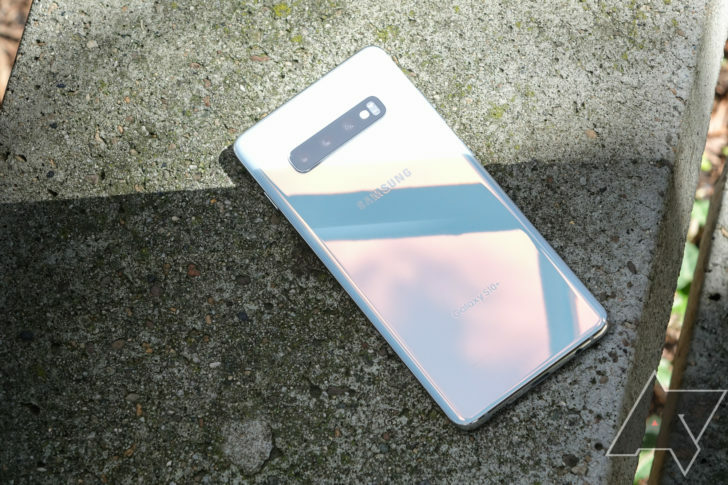 The S10e is more reasonably priced, but it's missing a number of its big brother's fancier features, and implicitly positioning $ 750 as a "budget" price point is unpleasant. Charging your Android devices can be a pain thanks to the many different types of chargers out there. Thankfully, our product partner, TopGreener, offers a patented technology inside its chargers and outlets that reads the power requirements of each device and delivers its maximum allowable power while preventing overcharging and overheating. This is why AP is excited to present the TopGreener in-wall PD + Quick Charge Outlet, a product that's currently on sale at Amazon for 15% off when you use the coupon code ANDRPO15 which brings the regular retail Price from $ 39.99 down to $ 33.99. The TopGreener's in-wall PD + Quick Charger features one standard wall socket and two USB ports. On the left, you will find a USB-A port that supports QC 3.0, and on the right is a USB-C port with power delivery (5V / 3A, 9V / 2A, 12V / 1.5A). Another cool feature is the outlet's ability to swap face cover designs, which may come in handy if you find your covers get scratched up from constantly plugging your devices in and out. TopGreener and AP also teamed up for a giveaway that's currently running Five lucky US readers will win a bundle of charging accessories worth over $ 130! So say goodbye to the bulky adapters, and create a modern and efficient charging station that's backwards compatible with just about every phone in the house! The sponsor This editorial content did not provide any input for its preparation.